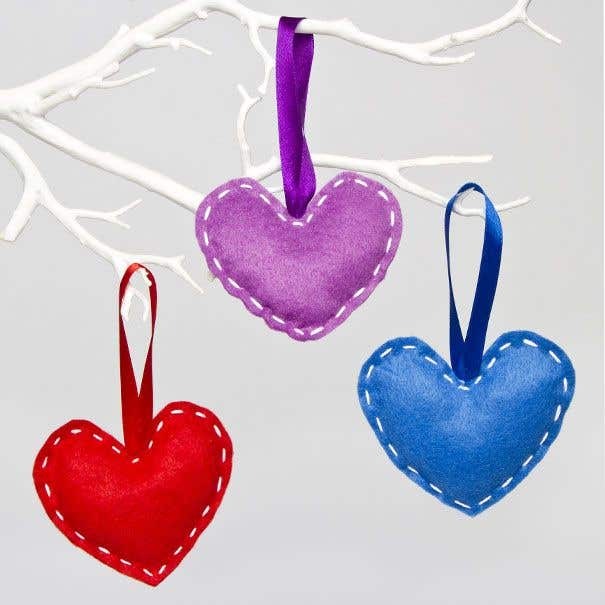 Fold a piece of felt in half, pin on template and cut from felt to create two heart pieces. Cut 12 cm piece of ribbon and fold in half to make a loop. 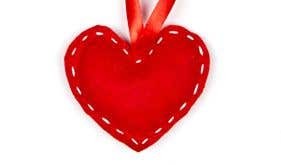 Place the cut ends on to the the top of the heart and secure in place with a neat stitch. 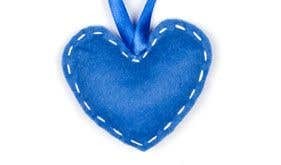 Place the remaining heart piece on top and begin sewing around the heart in running stitch to join the two pieces together. Before completing the seam, leave a small gap and feed in some stuffing to pad out the design. Ensure that the stuffing is evenly distributed around the heart, adding more where necessary. 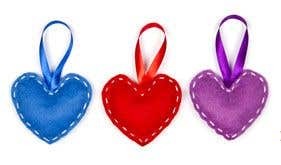 Once the heart is stuffed, continue sewing around the shape to complete the seam and fasten off. When stuffing the heart add small sections of stuffing at a time and ease it inside the shape, this will help you to achieve a neat puffed finish with no lumps or bumps.